NOLS and Outward Bound are great wilderness educational experiences, and we highly recommend them for adults, college students, and people seeking a specific skill focus. Adventure Treks, however, is designed exclusively for teenagers and is better suited for young people who desire a fun yet challenging, community-minded summer outdoor adventure program. * Proprietary information was not publicly shared. Our directors are hands-on. We are the only program we know of who has a director visit and spend time with every single trip. Our instructor-to-student ratio (1:4) is the best in the industry. But more important than ratio is the ability of our leaders to relate to and inspire teenagers. Our 20- to 24-student group size provides flexibility in optimizing student experiences, and the six-person instructor team ensures that students get personal attention, guidance, and role modeling. 60 to 70 percent of our instructors return year after year (more than any other program). They are the backbone of our trips. Read more about our rigorous interview process for new staff members. Our instructors are older, more mature, have more experience, and go through extensive training. We don’t hire college students looking for a fun summer distraction, like most other programs do. Our instructors are professional educators, and they return to us year after year because they’re passionate about working with teenagers in the outdoors. Both new and returning staff go through at least two weeks of training every year, and spend the weeks before their trips scouting, planning, and learning about their specific trips. We keep students in their peer groups. We know that 14-year-olds and 18-year-olds don’t have much in common, so we maintain closer age ranges than most other programs. We have great food! This might seem like an arbitrary thing to mention first, but after a full day of outdoor activity, there’s nothing better than sharing a fresh, hot, tasty meal with your friends around the campfire. We get it! Growing teens need good food—and lots of it. We emphasize fun. We understand that our students are trusting us with their summer, and we make sure they don’t regret it! In fact, teenagers have such a great time that 60 percent of our students return to us for multiple summer (the highest student return rate in the industry). We encourage personal growth and a positive, constructive social environment. Our students are able to learn about themselves while making great friends in a respectful, positive group. We do not offer extended solo experiences. 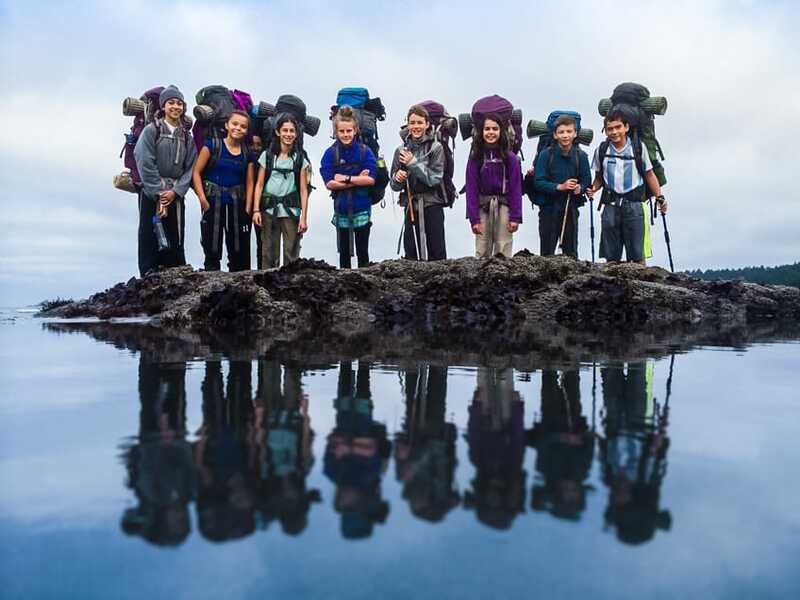 Students learn leadership, community-building, and outdoor skills in small groups—never alone. Adventure Treks screens applicants to ensure that our students have an excellent peer group. We make sure that our students are capable of the physical as well as the social and emotional aspects of our trips. Everyone deserves to have a great time—we want it to be easy to make new best friends! Tuition covers everything but airfare. We include more in our tuition—like all outdoor equipment and even photos from the trip—with no hidden or extra costs! We keep our overhead intentionally lower than other programs so that we can offer the best value for parents. We hope you are beginning to understand that the reason students return to Adventure Treks at triple the rate of other programs is not merely by chance. It begins with an understanding of the unique needs of teenagers coupled with relevant and intentional program design.